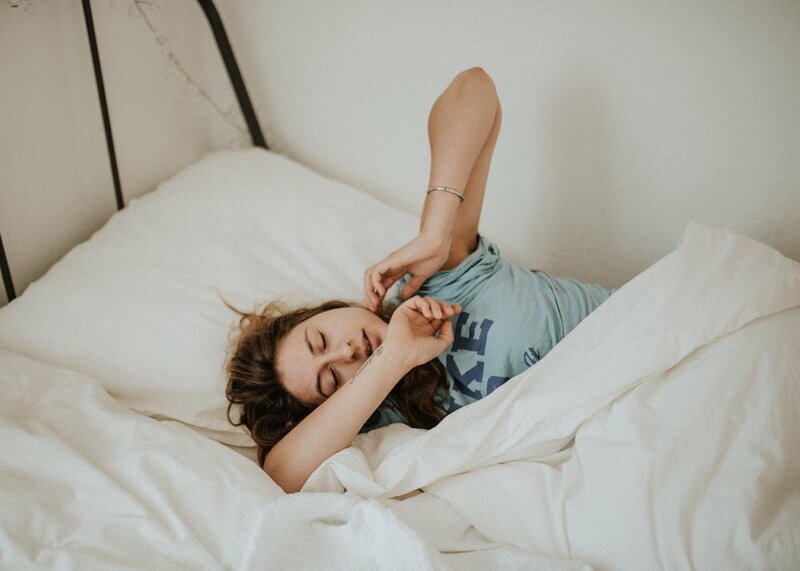 Improve Your Sleep Quality Without Medication — CJR Acupuncture - Kelowna Acupuncture, Western Herbalism, Shiatsu, Reiki and Integrative Medicine. The average adult needs seven to eight full hours of sleep for the body to be fully rested and restored. But many people find themselves getting far less. The good news – you can improve the quality of your sleep by developing sleep hygiene and trying alternative therapies that work with the natural balance of your body. Your sleep hygiene is made up of all the behaviours and habits in your life that contribute to the quality of your sleep. Because of the interconnected nature of the human body, most aspects of your life to come back to impact your rest. Even the food you eat and the timing of your meals affect your sleep. Making your bedroom a place to rest and relax is a good place to start. The bed should be comfy and supportive. Mattress reviews may help you determine if you are sleeping on the right foundation for your sleeping position and temperature. Blackout curtains and a white noise machine can also help to block out distractions that may keep you from sleeping. Consistency is one of the best ways to improve your sleep hygiene. The human body controls its sleep-wake cycle with 24-hour biological and physiological cycles called circadian rhythms. By going to bed and waking up at the same time every day, you allow your body to anticipate your sleep schedule and release sleep hormones at the right time. For those who have trouble falling asleep, a bedtime routine helps your brain recognize bedtime. When your routine is performed in the same order and starts at the same time each day, your brain will automatically start the release of sleep hormones. A bedtime routine also gives you a chance to relieve tension, stress, and wind down for the evening. There are a few behaviours you want to avoid such as consuming stimulants within four hours of your bedtime. Caffeine and similar substances temporarily block sleep hormones. You’ll also want to avoid high-fat, sugary foods too close to bedtime because they can lead to indigestion. Lastly, the bright blue light from electronic devices like smartphones and laptops can suppress sleep hormones. Try to turn them off at least two to three hours before bed. Even with good sleep hygiene, it can be hard to get a full night’s rest. Stress, chronic pain, and medications could all interfere with your ability to sleep. Alternative therapies such as acupuncture, meditation, and yoga are natural ways to help your mind and body reach the deepest sleep levels. Acupuncture has been used for hundreds of years in traditional Chinese medicine to treat the many different conditions. One study found that a five-week acupuncture treatment increased the number of hours participants slept while reducing their perceived anxiety levels. It was shown that acupuncture increased the levels of melatonin released at night to further improve the quality of participants’ sleep. Like acupuncture, meditation has been around for centuries and has now become more mainstream in the Western world. Regular meditation practitioners show a better connection between the higher reasoning portion of the brain and the emotional center of the brain, stemming from meditation's focus on letting go of negative thoughts. This improved connection reduces stress and anxiety, which in turn leads to better sleep. With as little as 15 to 20 minutes of meditation a day, you can reduce stress, inflammation, and improve the quality of your sleep.